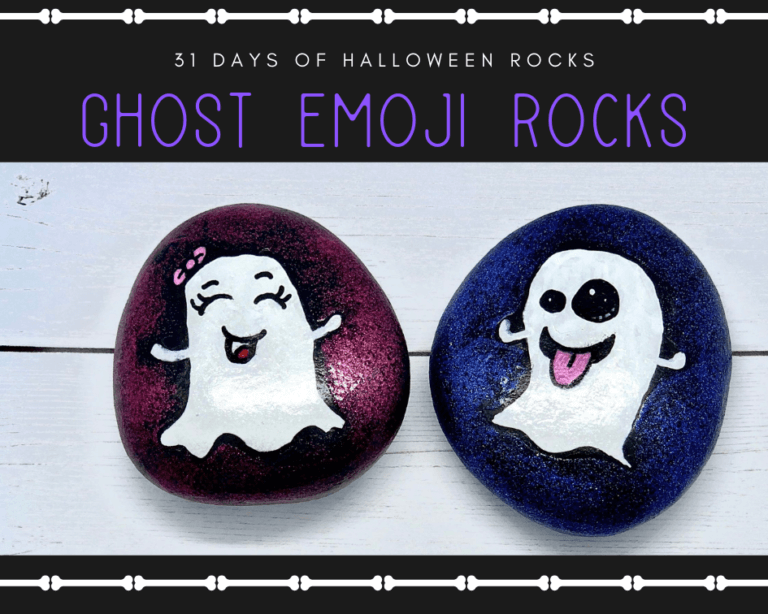 How to make Ghost Emoji Rock Paintings that your kids with love! How to make Ghost Emoji Rock Painting that your kids will love! Who doesn’t love those cute Ghost Emojis? Using emojis is a way of expressing moods and is a fun way of communicating with others in this digital age. 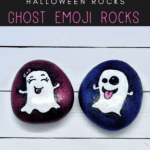 These Halloween ghost emoji rock painting tutorial will be a fun rock painting craft to do with your family. Use a pencil to sketch out the ghost emoji on the rock. I painted a girl and a boy version. Take a black paint pen to trace the ghost outline. I like to use Uni Posca and Zeyer paint pens. Both brands work great, it’s water-based, so it odor-free and kid-friendly. Fill in the tongue area with a pink or red paint pen and using the black paint pen to fill in the mouth area. Fill in the eye area with a black paint pen, but leaving a small white circle inside the eyes. Color the bow pink on the girl ghost emoji. Paint the background black using black craft paint with a nylon paint brush. I used the Extreme Glitter paint by Plaid and painted the backgrounds blue and pink. This added a pretty sparkle to these Halloween rocks. After the cute Ghost Emoji Rock Painting is completely dry, spray a clear sealer on the rocks and let it dry again for 24 hours before touching the rocks. 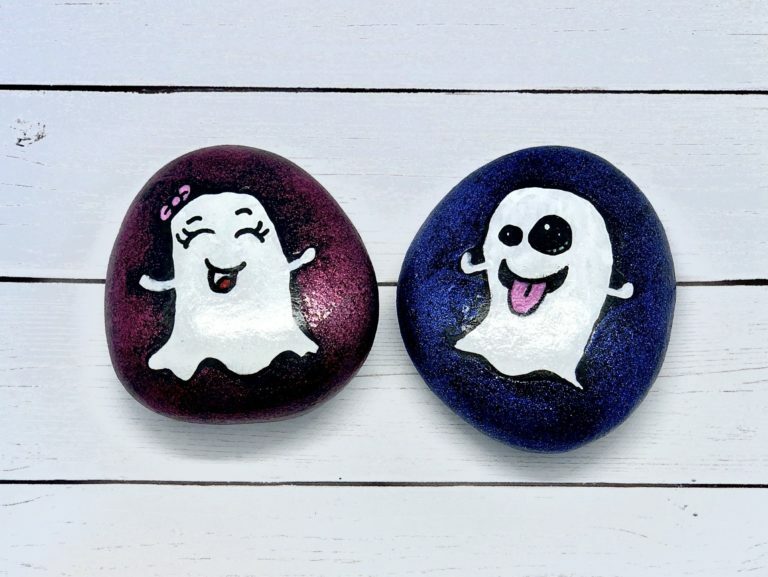 Have you made your own Ghost Emoji Rock Painting?